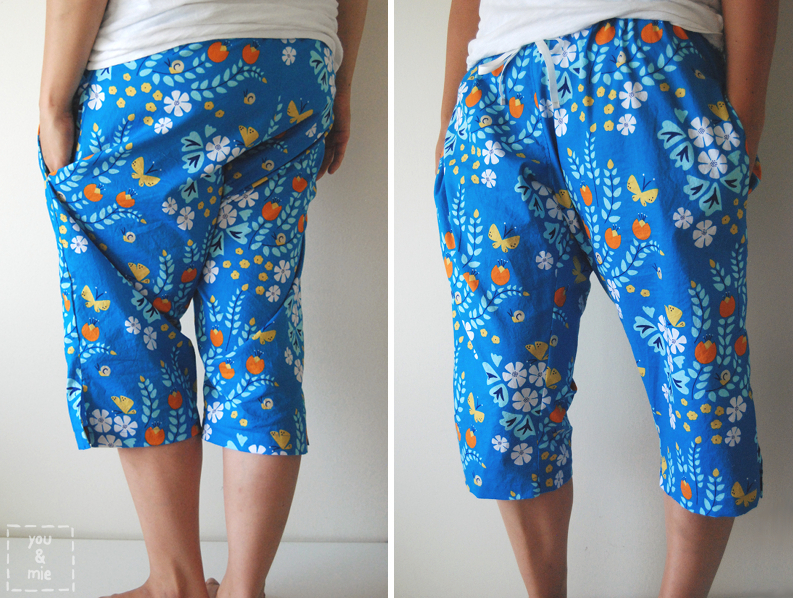 This entry was posted in fabric review and tagged fabric, Lotus Pond, Rae Hoekstra by Cherie. Bookmark the permalink. so cute and cozy!! love that print and got it from Rae too!! her blues/florals are so good. and you’re right – i bet you’ll wear lounge/pj pants like this sooo much more often than a dress. i have a pair with a similar cut to this that i just realized i bought for my honeymoon (over 10 years ago)! yikes. Ooooh these are SO FUN!! Love how comfy these look. I want a pair!!! These are so cute! 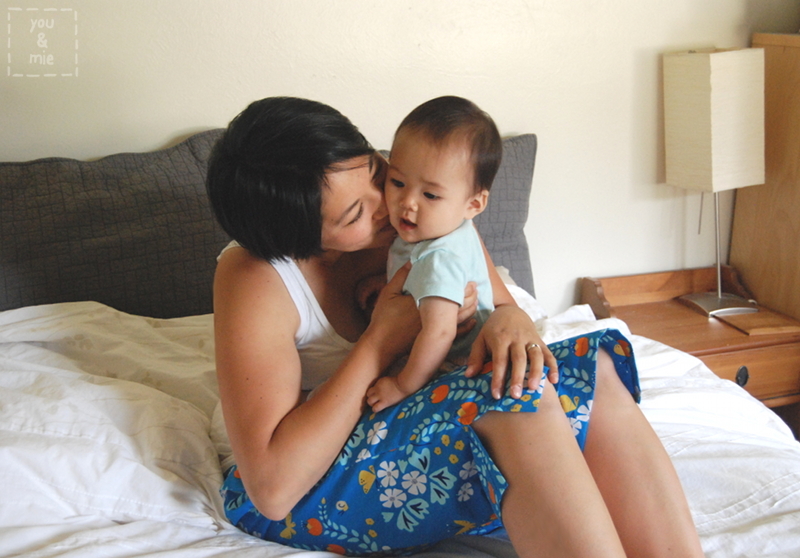 I love pretty PJ pants — you wear PJs for a third of your life, so why shouldn’t they be cute too? Great choice. First of all the lounge pants are so great. But really, thank you for posting those beautiful, real life amazing photos of Mother-Daughter happiness. 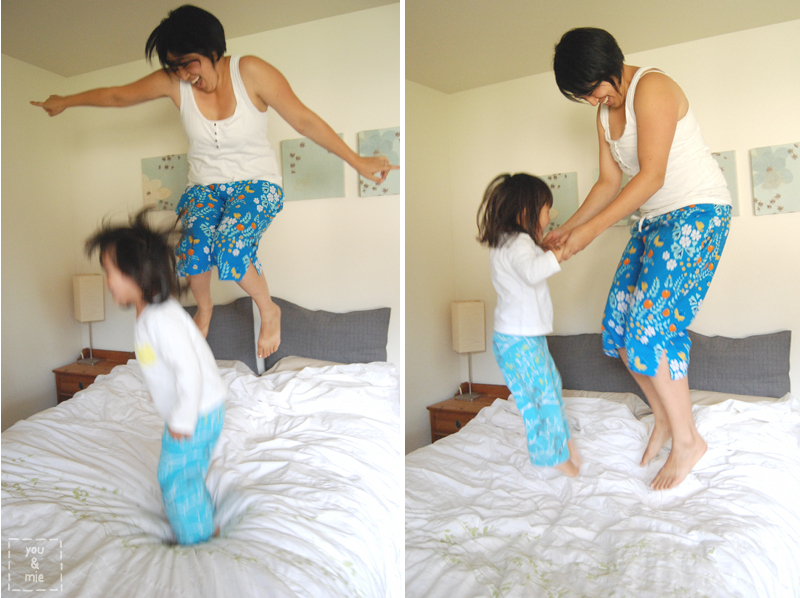 The joy leaps off the bed and off the page and fills the room. What a lovely moment in time. Thank you for sharing. Aw, thank you! It is nice to have these moments captured for my own sake – I’m usually the one behind the camera. Oh you guys are the cutest 🙂 This fabric was perfect for your lounge pants, I bet you will wear them all the time! I made a few pair last year and I have worn them constantly. 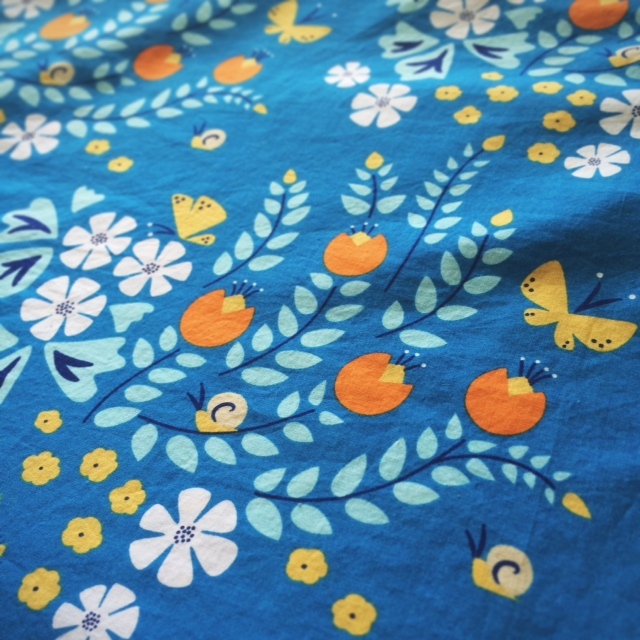 All of the Lotus Pond prints are so cute! What pattern did you use for yours? Or were they self drafted? These photos are awesome! And so are your lounge pants! 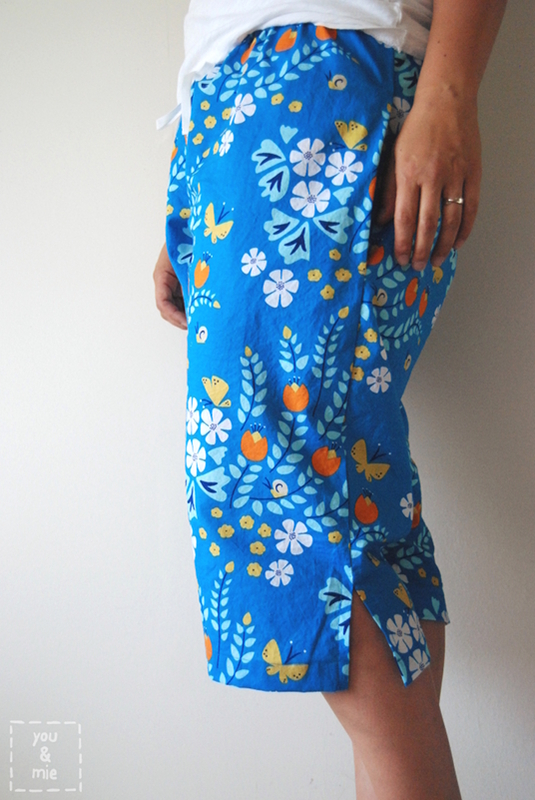 I love that fabric print! All around awesomeness! 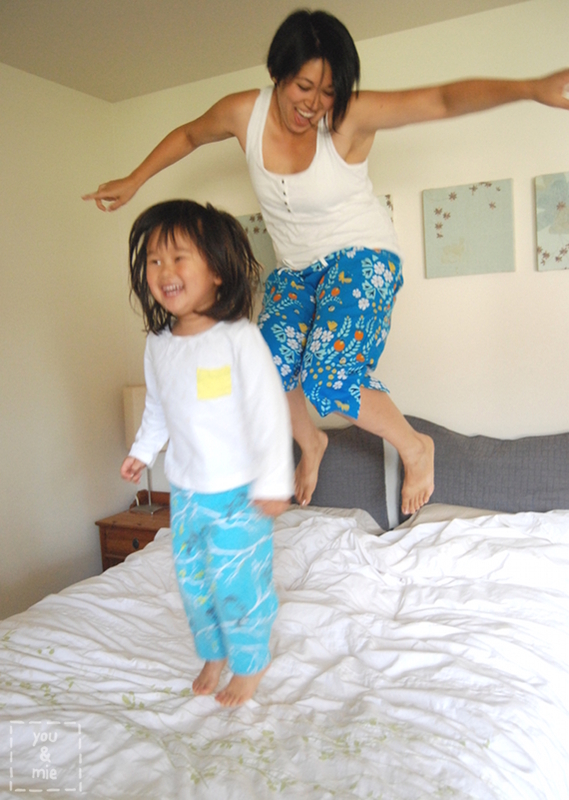 Love the pants, love the jumping! I want to come have a slumber party with you guys! Super cute pants. You should totally come over! Yuki will paint your nails and your face for that matter . . .
Love these! And the pics are super fun! They’re so cute, Cherie! I love the cropped length. 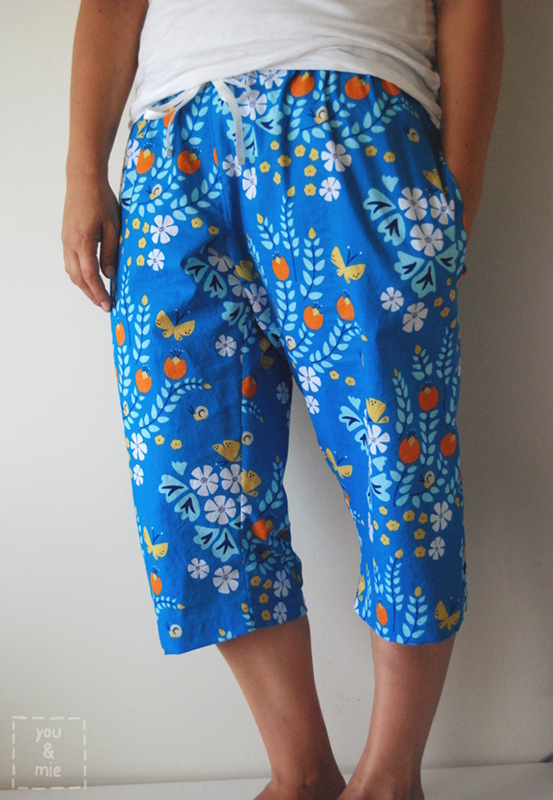 So perfect for warm weather and feeling a little fancier than regular pjs. One of the cutest pair of lounge pants I have ever seen! Great job!